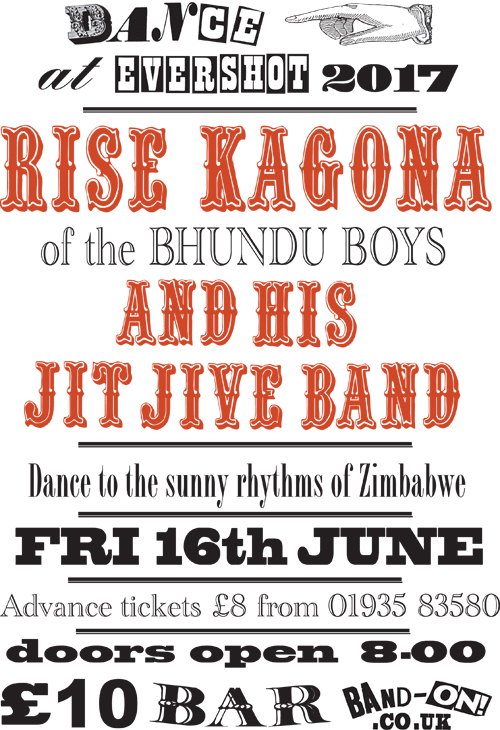 Rise Kagona is well known as the founder and lead guitarist of the world famous band from Zimbabwe, The Bhundu Boys. The BBC Andy Kershaw sites him as having changed his life and the late John Peel famously broke down in tears the first time he saw The Bhundu Boys perform live. Back home in Zimbabwe, Rise is attributed with starting a whole new guitar genre called Jiti, and his band The Bhundu Boys topped the Zimbabwe charts countless times. In the 1980's and 1990's, the band toured the world extensively and everywhere they went, people danced to their infectious Jiti music - including Glastonbury Festival 1989. Rise is now resident in Edinburgh and has been performing with his new five piece group The Jit Jive Band ( two guitars, bass, kit, marimba). Rise composes all his own music and he doesn't compromise - it is high quality hard-hitting African dance music guaranteed to make an audience dance !